Home General GN Village/Schools Deal? 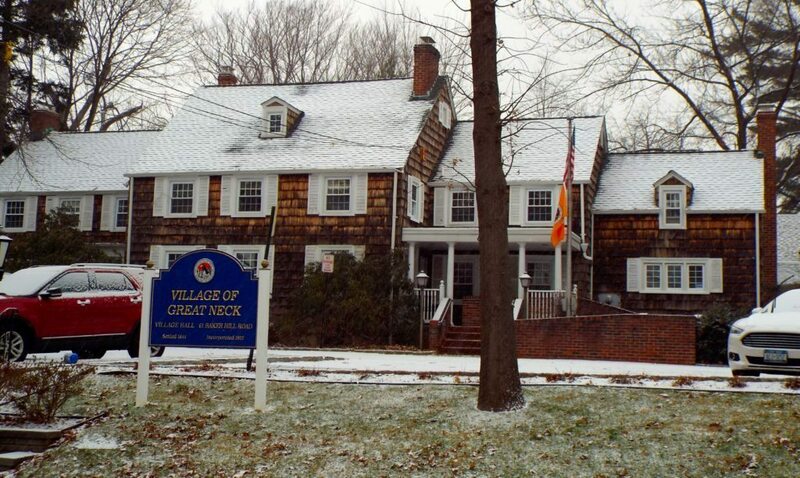 for its soon-to-be-replaced historic village hall, the Great Neck School District. A combined new village hall and Department of Works facility is planned on East Shore Road onthe land where the former sewer plant operated. Schools’ Superintendent Tom Dolan, while not addressing any specifics regarding a potential purchase or how the district would utilize the building, said, “If the school district were to acquire a property it would have to be voted on by the school community.” That would indicate the possibility of it being placed on the ballot in May. Kreitzman asked his board to pass a resolution authorizing the hiring of an appraiser to determine a fair market value for the hall and its property and a resolution to proceed with negotiations with the school district. The board voted unanimously in favor of both. The school district would hire its own appraiser. As to the possible purchase price, no figures were discussed in public. The prospect of anticipated preservation, the school district’s history of preserving historic buildings and maintaining them, especially on the South campus, struck a positive chord among the trustees. Kreitzman mentioned that a purchase by the school district would mean that any future use would not conflict with the Baker Hill Elementary School that surrounds the village property. 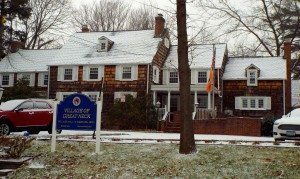 “Is the Great Neck School District the only potential buyer?” asked trustee Norman Namdar. Village counsel Stephen Limmer provided further clarification for Namdar and his colleagues. “The village has the right not just to take the best price, but to also sell it to the buyer who’s going to develop it in the way that’s in the best interests of the community,” he said. Limmer also said that a final ratification by the board of trustees would be needed when the actual price and buyer were determined. The building has a history that goes back over 200 years. Part of it was a farmhouse owned by the Baker family. The Bakers actually moved it across the street to its present location. The village acquired the building in 1955 and renovated it. A fire in the ‘70s caused significant damage. The garage structure behind the hall once had apartments on the second floor.